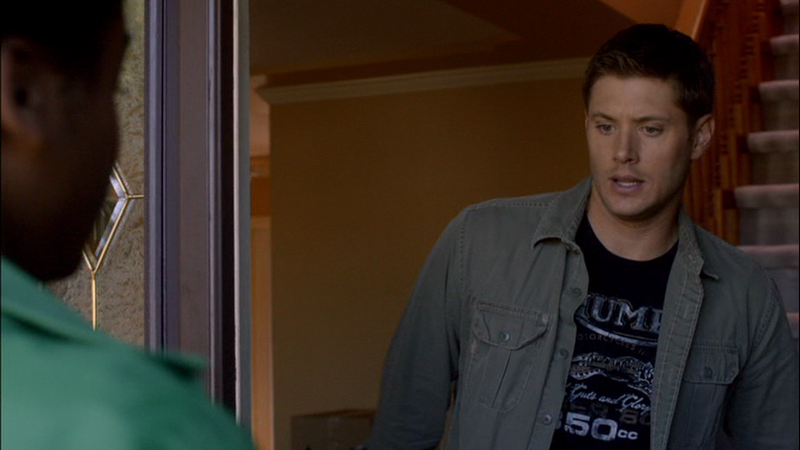 Dean wears this from the beginning of Two and a Half Men (6x02), until after he meets up with Sam at night to see the baby for himself. He has changed by the time he goes to join Sam on the hunt the next morning. 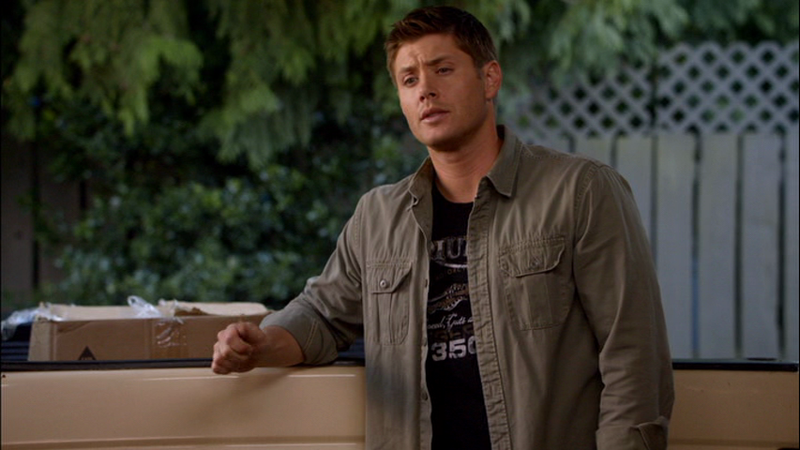 In Mannequin 3: The Reckoning (6x14), Dean wears this shirt while he fixes the Impala at the end of the episode. 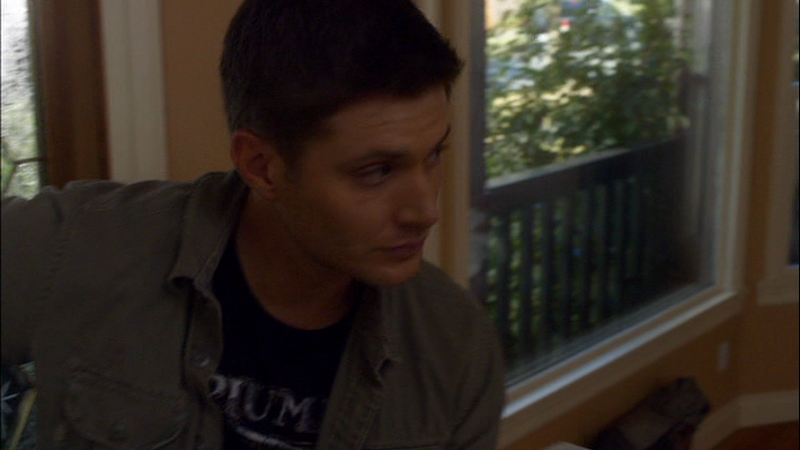 I'm guessing the shirt is about "Triumph" motorcycles. I'm amazed at your ability to stick w/ this project, btw. Awesome job! The first pic also looks like it says "Guts and Glory" above the "50 cc" bit. Awesome :) I'll research Triumph Ts on the internet and see if I can find a match to confirm. I'll add that to the info now. I only have 3 more entries to put up, and then I'll be done S6! Yay! I'll probably finish that all off tomorrow. You're welcome. Good luck and keep it going!